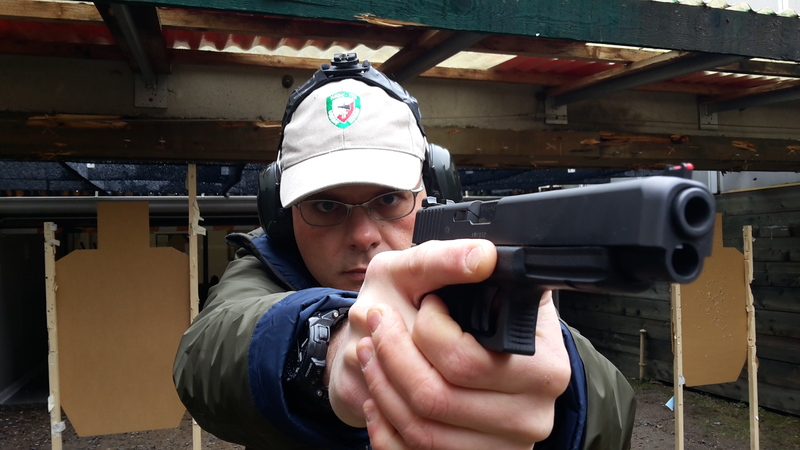 NRDC-ITA NATO - 9th September - NRDC-ITA Shooting Club: 2 new members. NEWS > ARCHIVE > Archive 2016 > Archive 2016 - 09 > 9th September - NRDC-ITA Shooting Club: 2 new members. 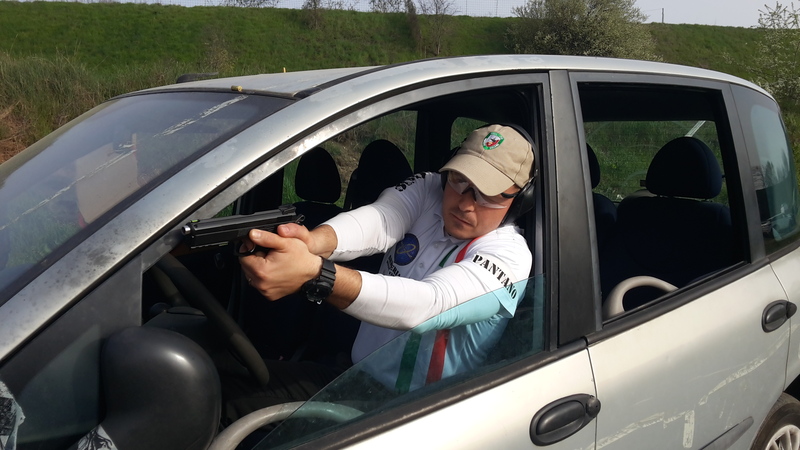 9th September - NRDC-ITA Shooting Club: 2 new members. 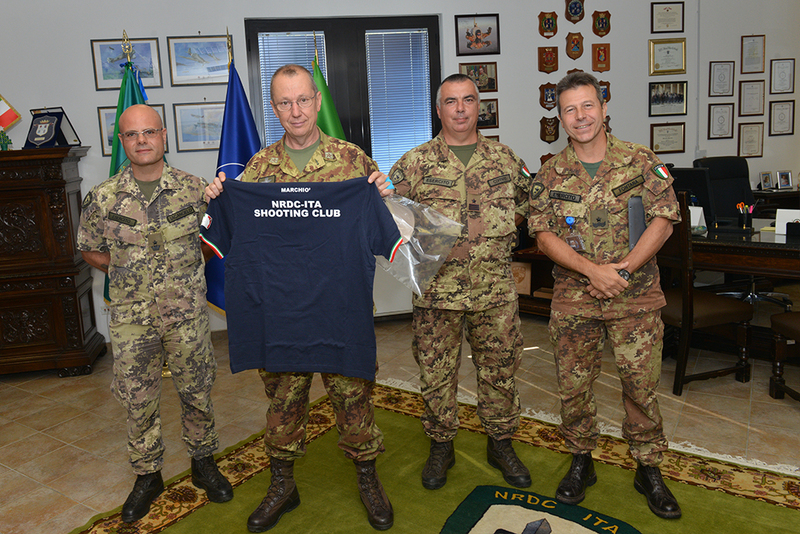 NRDC-ITA Commander, Lieutenant General Riccardo Marchiò and NRDC-ITA Chief of Staff, Major General Giovanni Manione, received today the Shooting Club's Cap and Polo Shirt, such as honorary members of the Club. 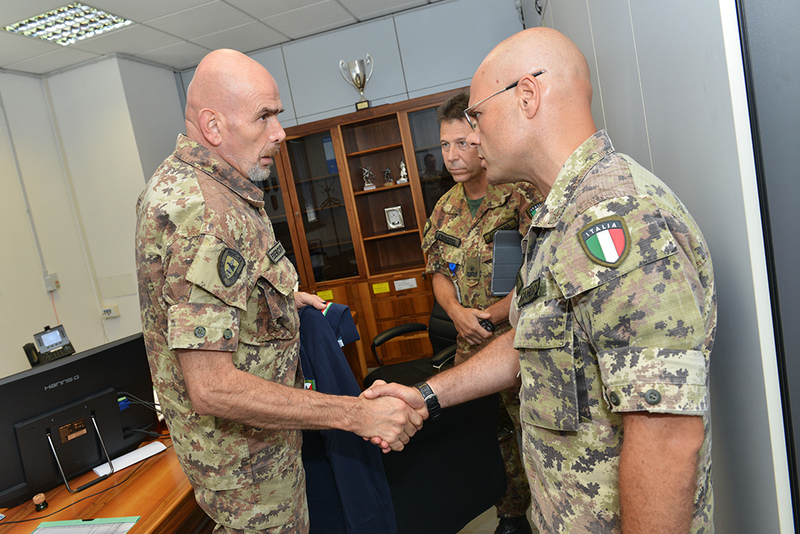 The gift was delivered by Honorary President Brigadier General Luca FONTANA, Chief of NRDC-ITA Support Division, together with the President, Major Ernesto Iacangelo, and the Vice President, WO Giovanni Coffaro. The NRDC-ITA Morale and Welfare programme supports a variety of different sports through the Sport Boards for NRDC-ITA members, subordinate units and dependents. The sport clubs open to the personnel and family members include various disciplines, aimed to group together NRDC-ITA community and boost up esprit de corps.For detailed information about each sport club activities follow us on http://www.nrdc-ita.nato.int/64/SPORT-BOARD.